Since the 1690s English and British queens consort had been crowned with the Crown of Mary of Modena, first made for the wife of King James II. However criticism of the continued use of this crown had mounted, for reasons of age, size, state of repair and because it was seen to be too theatrical and undignified. In the preparations for the coronation in 1831 it was ruled that the Modena crown was "unfit for Her Majesty's use". Plans were made for the creation of a new consort crown. The new crown followed British crown tradition in having four half arches, meeting a globe, on top of which sat a cross. The Queen had objected to the standard practice of hiring diamonds and jewels for a crown prior to its use. Instead diamonds from her own private jewellery were installed in her new crown. 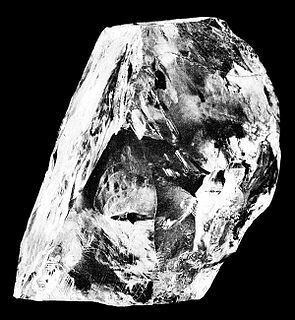 Following the coronation, the diamonds were all removed, and the crown stored as a shell. Since Queen Adelaide, all British queens consort have had their own special consort crown made for them, rather than wearing the crowns of any of their predecessors. Later consort crowns were made for Alexandra of Denmark (1902), Mary of Teck (1911) and Elizabeth Bowes-Lyon (1937). 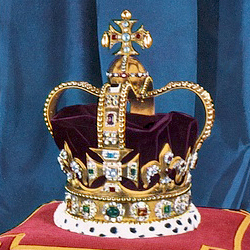 Queen Adelaide's crown, emptied of its jewels and discarded by the royal family, was loaned to the Museum of London by the Amherst family from 1933 until 1985. It was purchased by Asprey in 1987 and later acquired by Jefri Bolkiah, Prince of Brunei, who presented it to the United Kingdom. It had been valued at £425,000 in 1995 for the purposes of an application to export the crown to the United States. The application was withdrawn during a review by the Reviewing Committee on the Export of Works of Art. It is part of the Royal Collection and has been on public display in the Martin Tower at the Tower of London since 1996. ^ "Crown Jewels". Parliamentary Debates (Hansard). 268. United Kingdom: House of Commons. 18 December 1995. col. 853W. ^ a b "Crown Jewels". Parliamentary Debates (Hansard). 268. United Kingdom: House of Commons. 12 December 1995. col. 566W. ^ "Coronation Crown of Queen Adelaide". Parliamentary Debates (Hansard). 267. United Kingdom: House of Commons. 22 November 1995. col. 158-9W. ^ Stephen Goodwin (17 December 1996). "Crowning glory at Tower exhibition". Independent. Retrieved 7 July 2016. ^ Anne Keay, The Crown Jewels (Historic Royal Palaces, 2002) p. 58.